Dame Elizabeth Marvyn Charity. Ufton Court, Near Ufton Nervet, Berkshire, England 1974. 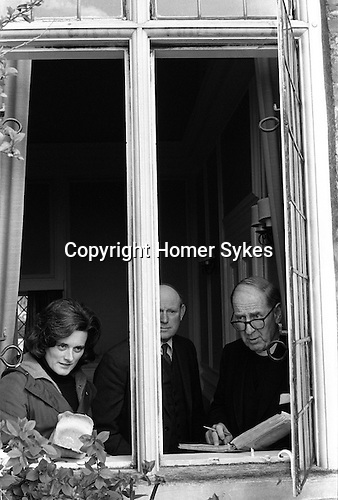 Mrs Ann Benyon distributing the dole. Local farmer George Hayes, who was a Trustees of the charity, and the Revd Arthur Burrell with the register calling out the names of recipients of the dole.